We are excited to bring you another wooden home decor series! You are going to LOVE this wood barrel with it’s super CUTE interchangeable monthly toppers! 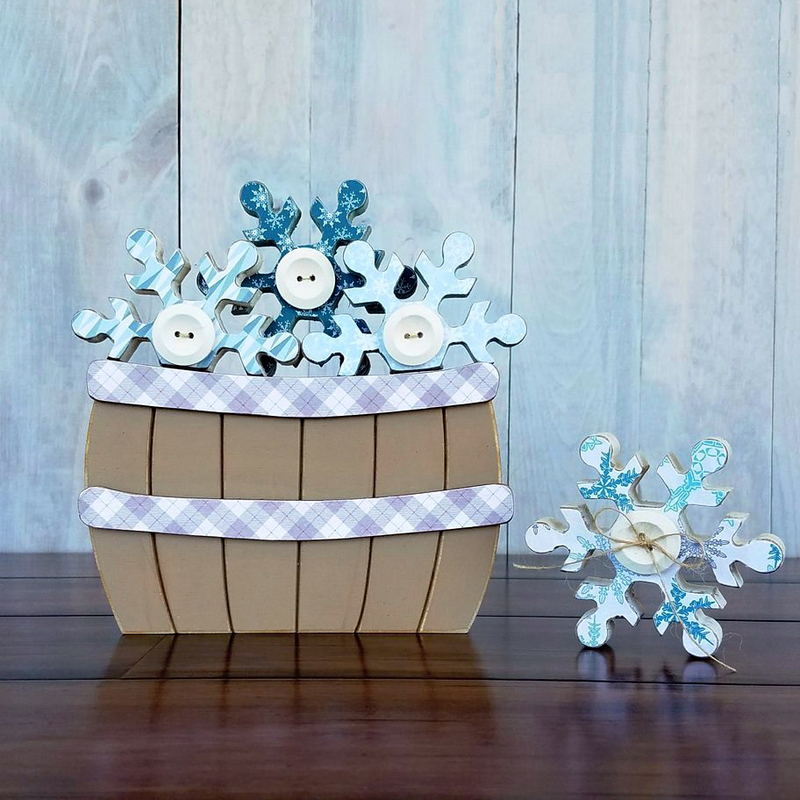 This months class is getting us ready for January with some adorable snowflakes to top off our barrels. 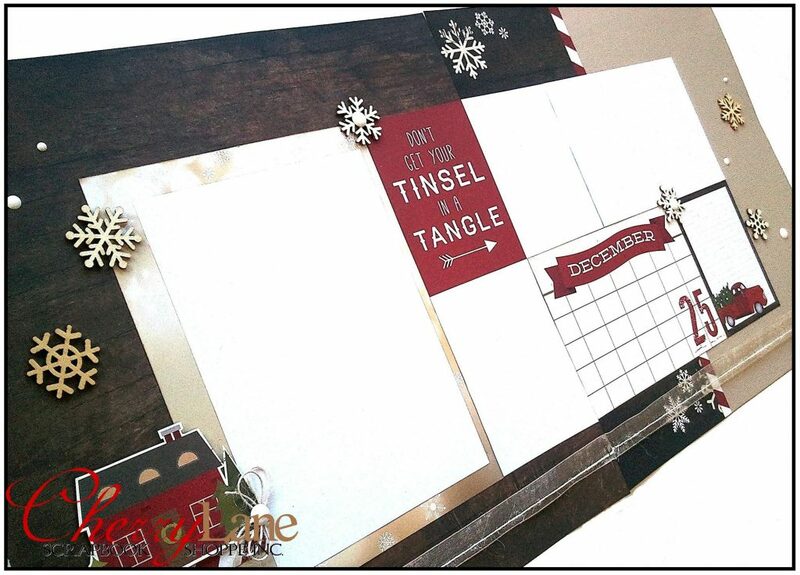 We’ll be painting & papering the snowflake toppers & side piece in class. 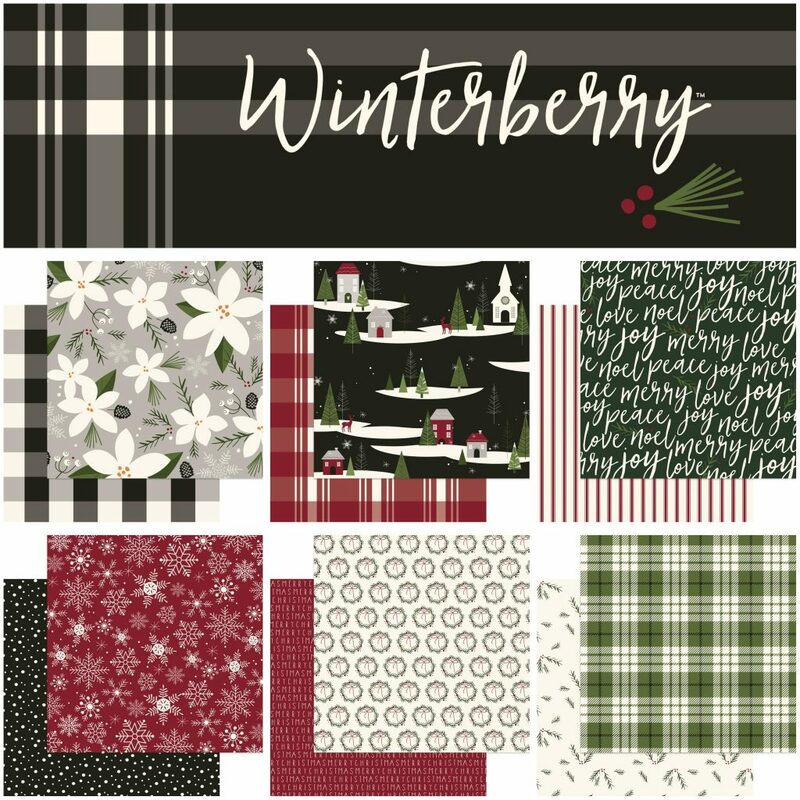 My Mind’s Eye “Winter Berry” release is in the shoppe now! Create warm memories in the cold of winter with this beautiful collection This elegant and sophisticated Christmas collection features beautifully designed wintry spruce, white and gray flowers, frosty snowflakes and festive holly with elements that are perfect for your holiday cardmaking, pages, décor and more in a wondrous color palette of gracious grays, crisp blacks, powdery whites, elegant greens and rustic reds. See the full release of this glistening collection in the shoppe! My Mind’s Eye “Jingle All the Way” release is in the shoppe now! 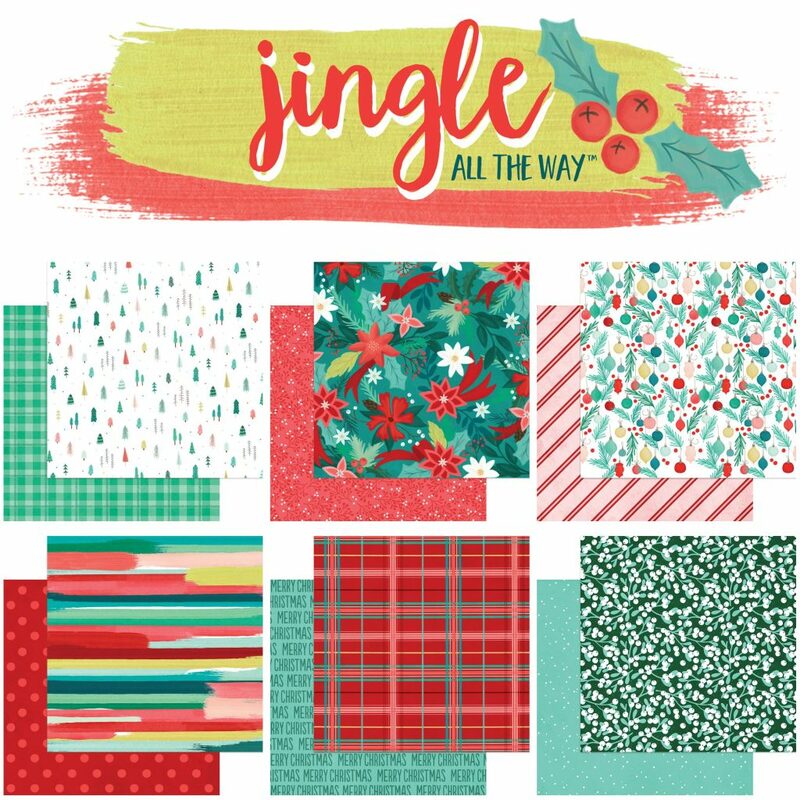 Oh, what fun it will be when you create paper crafts this holiday season with the Jingle All the Way Collection by My Mind’s Eye! 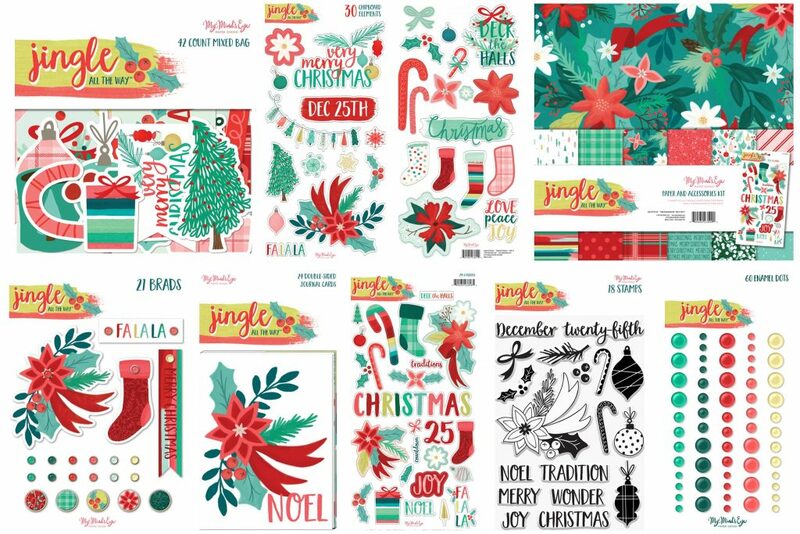 This festive collection showcases a rainbow of Christmas colors and features fun icons of poinsettias, candy canes, ornaments, Christmas trees, stockings and so much more. 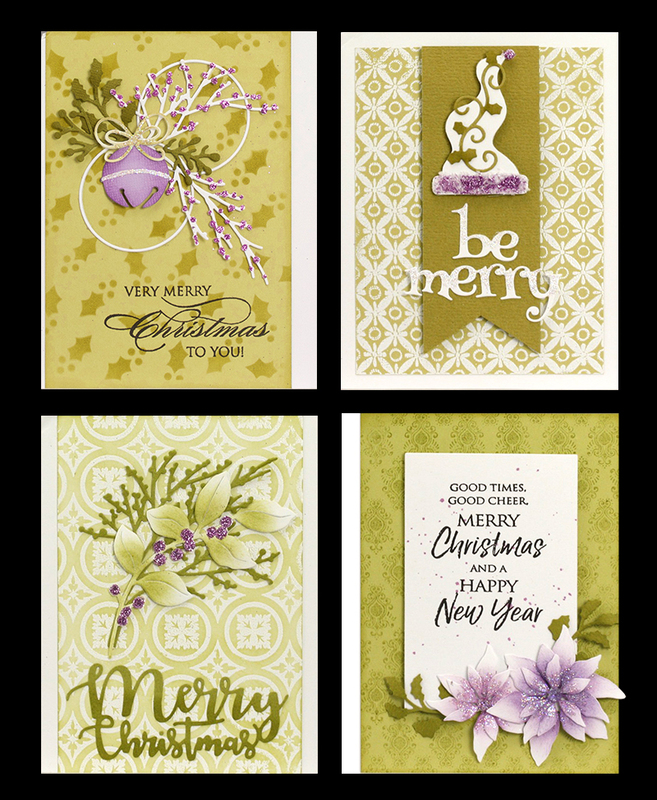 Just the right amount of merry to create your holiday cards, décor, gift tags and pages that will show off your holiday spirit! 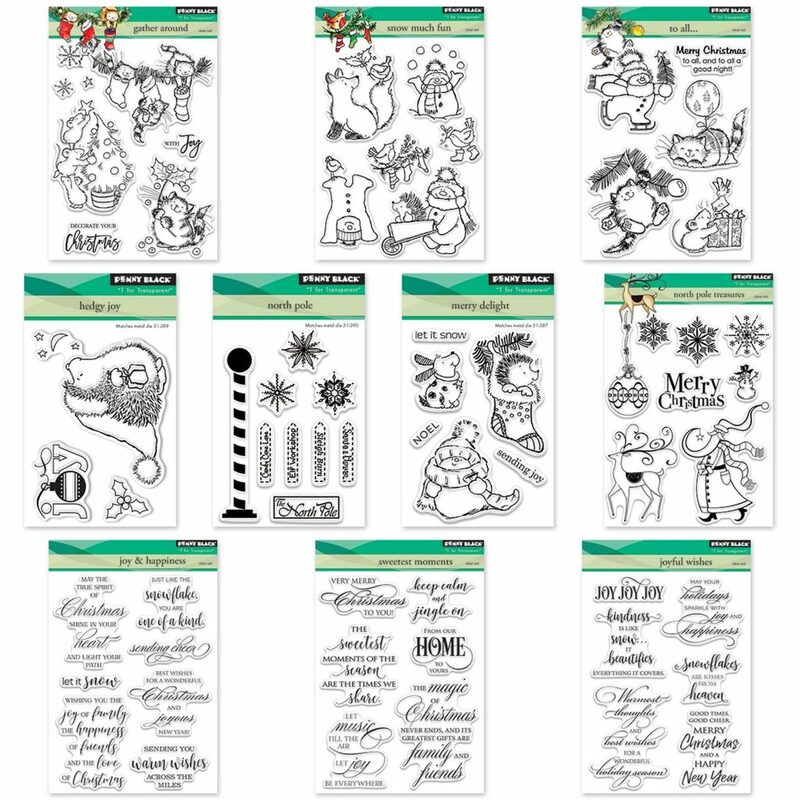 Make your holiday bright this Christmas and get the the full release of this joyful collection in the shoppe now! Snowflakes falling, winter is calling… let it snow, let it snow, let it snow! Okay, so we’re not there quite yet, but it IS time to start getting our cards ready! 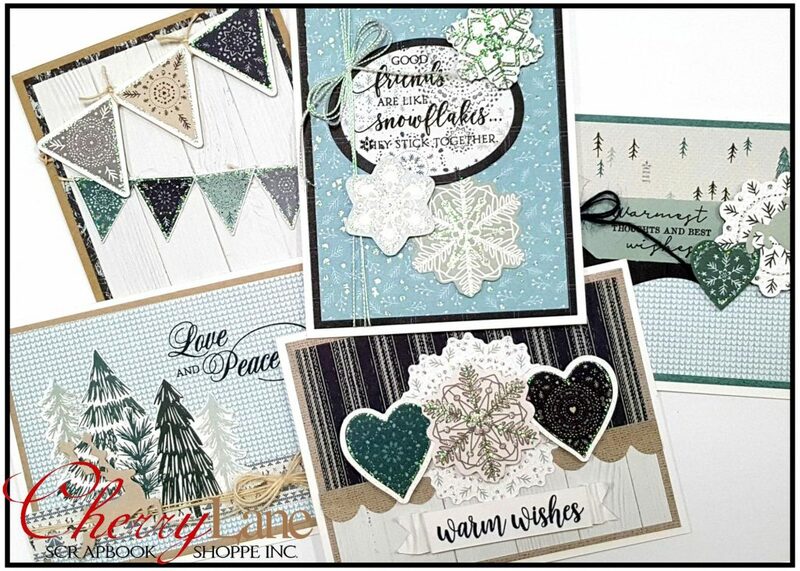 Join Rebecca and create six cards in class with Carta Bella’s lovely & rustic “Let It Snow” collection. 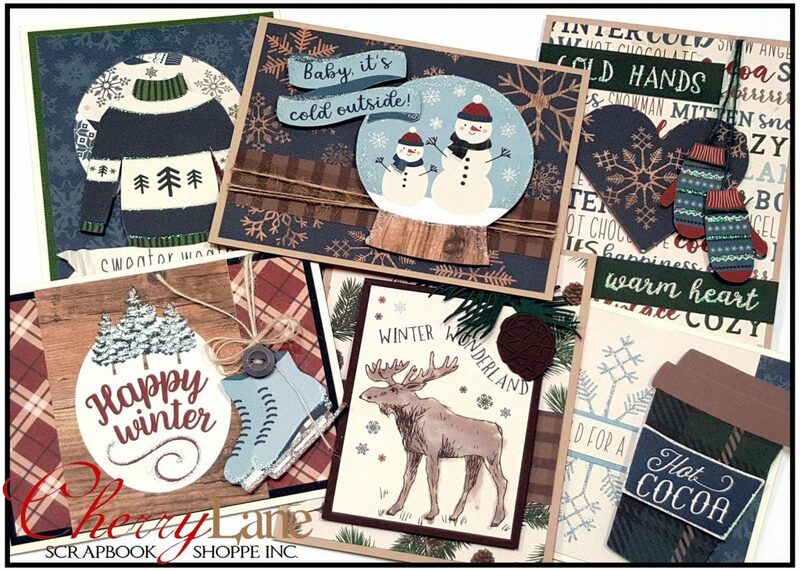 You won’t mind the cold with these warm & cozy cards! Warm woolen mittens, snuggly sweaters, & hot cocoa combined with snowflakes, woodgrain & rich hues will have you dreaming of cabins in the snow! Send warm wishes to friends & loved ones across the miles with KaiserCrafts new Scandinavian inspired Wonderland collection! 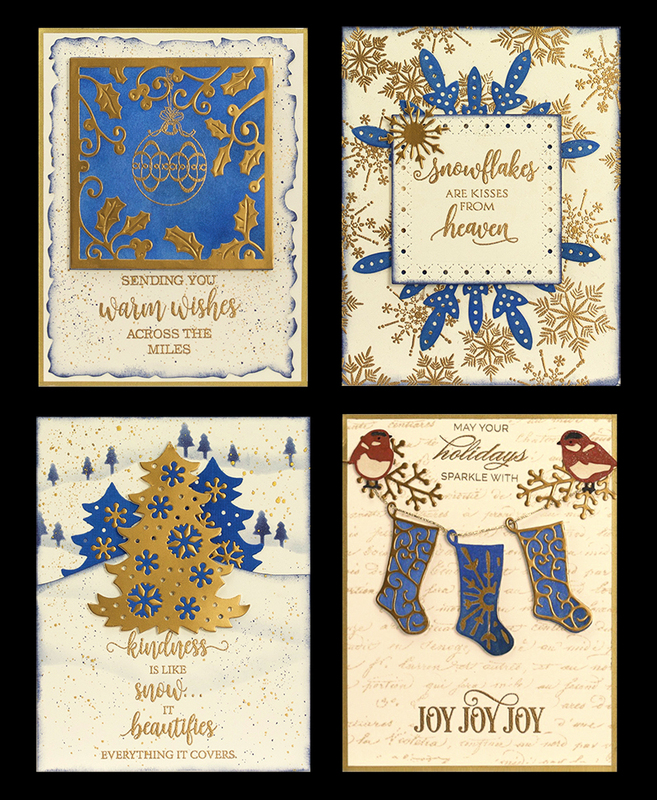 Join Rebecca and create five cards in class with hues of teal, navy blue and snow white mixed with wintry folk imagery and just the right amount of shimmer and shine. Prancing deer, delicate snow flakes and snow capped trees will have you walking in a Winter wonderland this season! 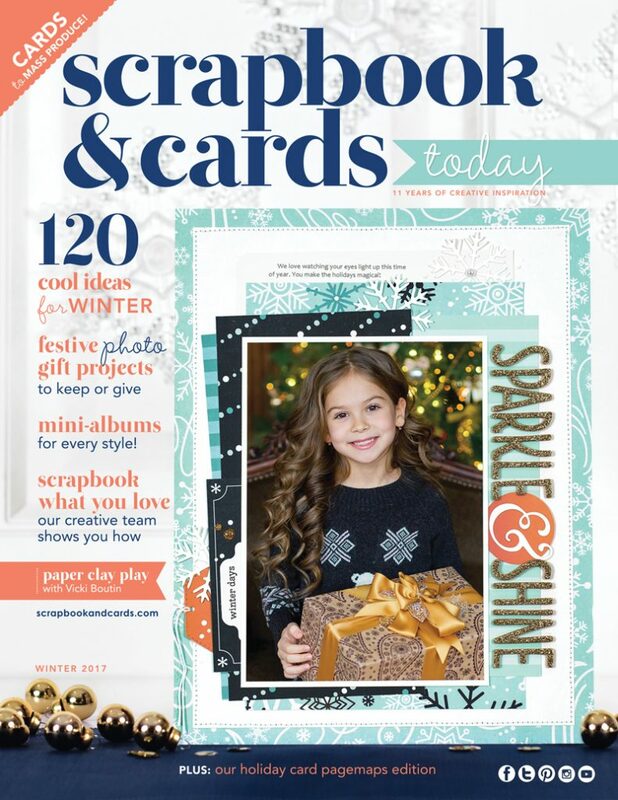 The NEW Scrapbook & Cards Today Winter Issue is HERE! We are thrilled to be sharing the Winter 2017 issue with you, and the BEST part is that your copy is FREE with your merchandise purchase of $30 or more. While they last, and THAT is NEVER long. Get in here! New Carta Bella Cabin Fever! New arrival! 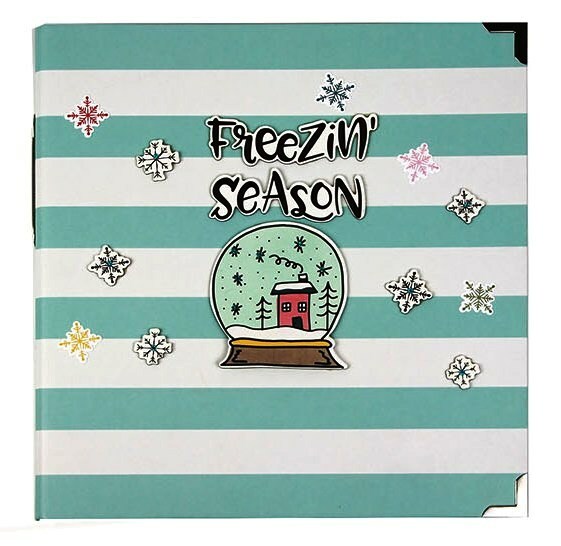 Carta Bella’s warm & cozy “Cabin Fever” collection is in the shoppe now! 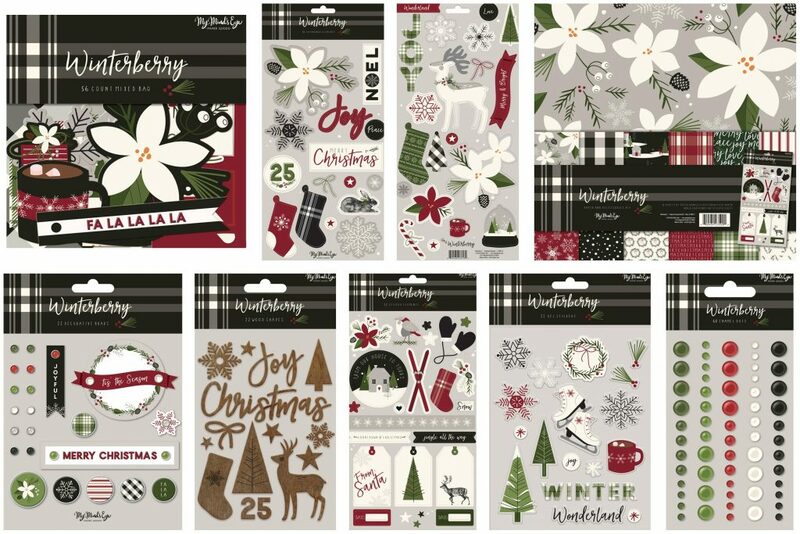 Celebrate the coziness of winter with Carta Bella Paper’s Cabin Fever collection – a line full of ski-lodge vibes! 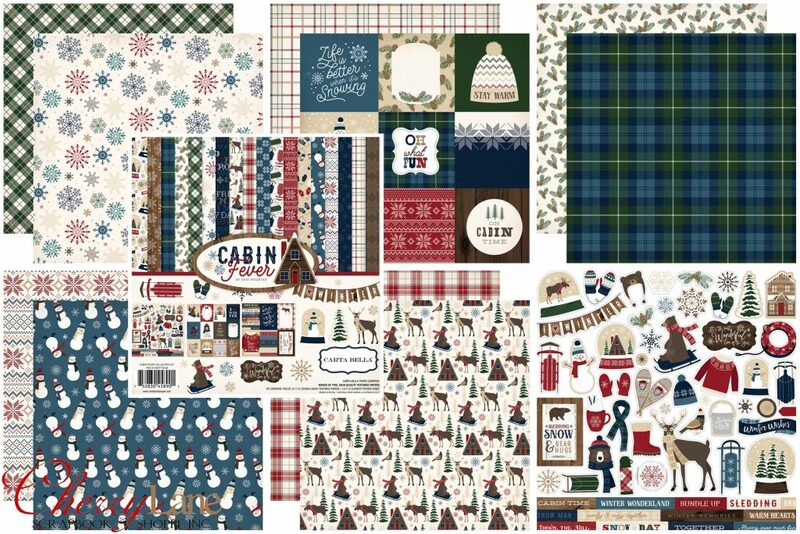 With wooden patterns, pine cones, snow globes, and more, Cabin Fever is perfect for all of your cherished holiday trips, gatherings, and memories. We received the FULL release of this line! Sledding bears, winter moose, snowy evergreens, and more… come see it in the shoppe! Click here to watch our box opening video for some close ups, or see the full range on Carta Bella’s website here. Snowflakes falling, winter is calling… let it snow, let it snow, let it snow! Okay, so we’re not there quite yet, but it IS time to start getting our cards ready! 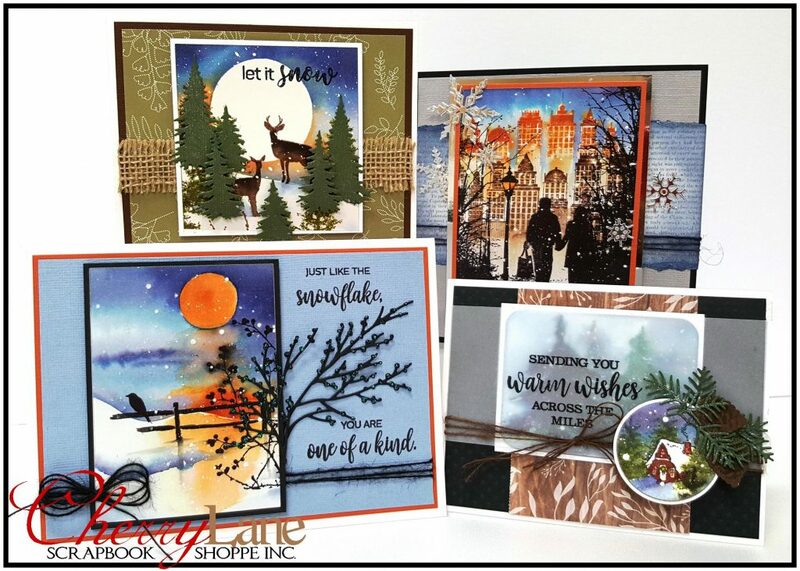 Join Rebecca and create FOUR beautiful warm winter snowy scenery cards featuring stickers, stamps & dies from Penny Black & Impression Obsession. Did you read that first part? Stickers, yes stickers, are the gorgeous focal imagery on these beauties! You will not believe how easily these stunning cards come together! Seating is limited, give us a call to register today! FYI: These are selling pretty fast, so don’t wait to come in! 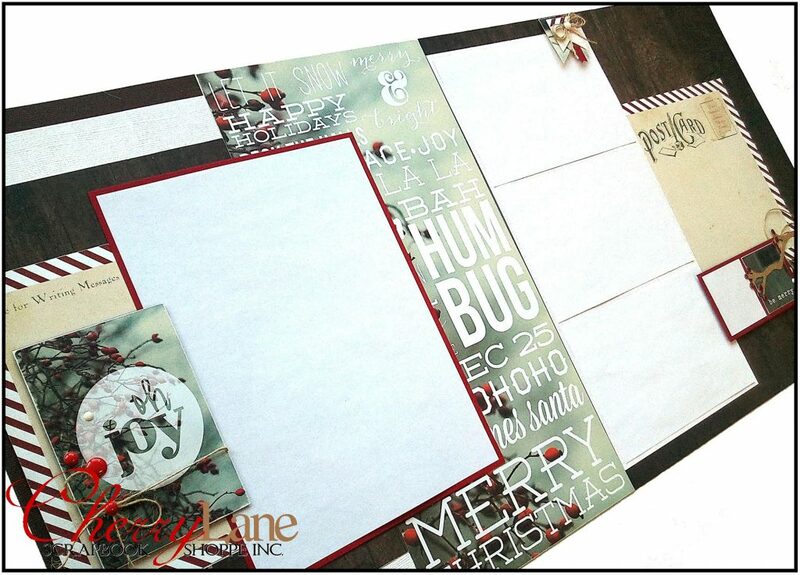 We have a NEW layout kit to share with you! 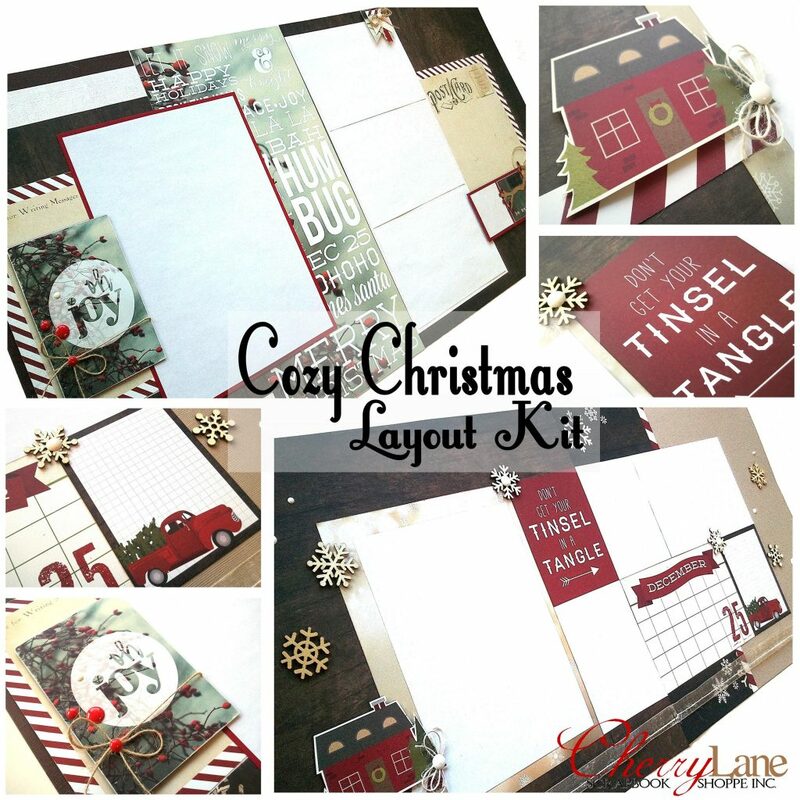 This kit features the Simple Stories “Cozy Christmas” collection and the pages are wonderful for your Christmas & winter photos, of course! Kit price is $30 each, available in the shoppe or may be shipped. Call or come in to get yours, while they last!